Monterey County Board of Supervisors held a special ceremony Tuesday morning to make July 24, 2018 “Ruben Villa Day” in Monterey County. “When you’re training and you’re focused, it’s nice to know your community and your family is behind you,” Supervisor Luis Alejo said. 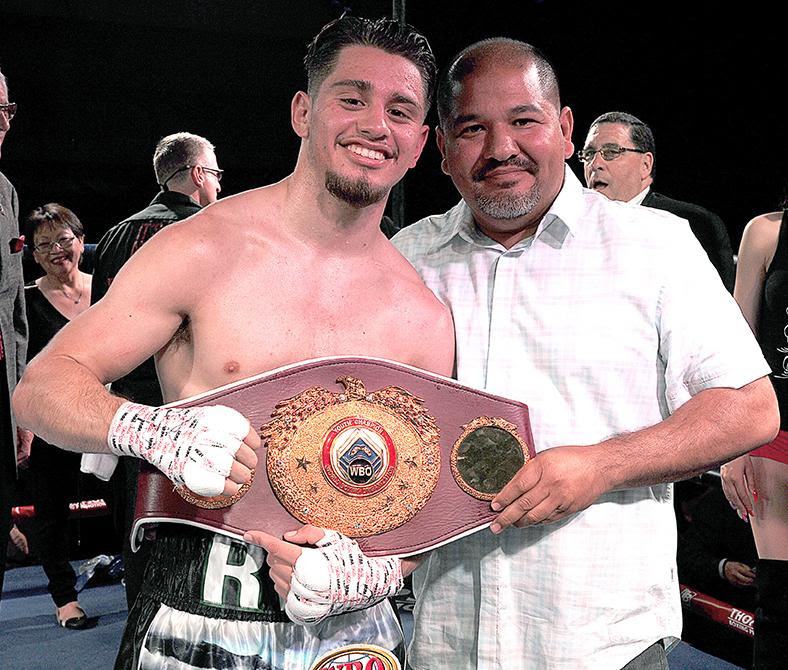 Salinas native Ruben Villa IV won his first WBO title April 14 with a unanimous decision against fellow Featherweight Marlon Olea at the Salinas Storm House. Villa first started boxing as a 5-year-old at Breadbox Recreation Center near Sanborn Park. It took three years for the future champion to start competing as an amateur but he held his own as at eight years old. By 13, he’d won three national boxing titles in winning the Desert Showdown, National PAL, and Silver Gloves tournaments. He burst on to the scene quickly in winning four of his first six fights by knockout. He’s yet to lose in the two years he’s been a professional. His most recent fight, June 30 against Ricardo Lopez, was a knockout win in his first defense of the WBO Youth Featherweight Title he won April 14 in Salinas. “I was proud to be just a few seats away to watch it live,” Alejo said.